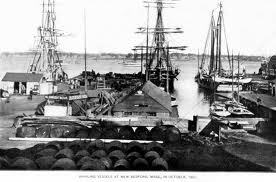 The HISTORICAL city of New Bedford Massachusetts is where many, myself included — call home. 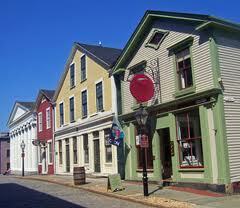 The downtown area still heavily bearing the trademarked feel of the city’s once prided nickname ” THE WHALING CITY”. Cobblestone paved streets, and vintage lighting — give way to your imagination — allowing it to wander. Taking in the sights and sounds, even the smells — though at times not so pleasant — you can almost imagine a quaint downtown area, filled with linen shops, bakeries, and other small mom and pop shops full of vendored goods. Knowing that just a few blocks away was the bread and butter of the city. Literally it’s how the city thrived and flourished — at a time when the economy was barely breathing, New Bedford’s ports oxygenated the area, allowing it to be successful — and lead the way — as pioneers of the fishing industry. As author’s depicted tales of whales — while the newly sea-legged had whales of a tale to tell upon returning to port — after a first trip out as a “greenhorn”. Though the term greenhorn is used to describe a newbie deck-hand learning the ropes of being on a crew. In our heavily Portuguese dominated city it also carries some ill-mannered banter. Nonetheless New Bedford is a city, with roots as deep as ocean floors — its history reaching the very coasts, our fleets have traveled for years. Pride in what we were is still felt deeply — it can be heard in the expressions, lengthy stories, and recollected bits of memories — when sitting with the retired Captains and crew-men who once manned the decks of our weathered and worn sea vessels. Concern and fond memories of happy reunions are easily felt and embraced — when conversing with the woman, who’s female ancestors bravely and anxiously — once walked the widows walks, and ran to meet and greet their men upon a triumphant return. 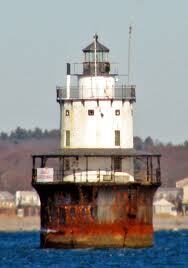 Out in the harbor, approaching the aging barriers, you can visibly see A LIGHTHOUSE, A LANDMARK, A BEACON for so many — whether they were coming or going — it conjured feeling’s in every Fisher-men, Lobster-men, and Scalloper — almost like a hug goodbye or a pleasant welcome home. Many other fishing regions have shown a boost over the past several years, yet New Bedford still lead in 2011 and 2012 with its 13’th straight year with the highest valued catch. In 2011 the U.S. Seafood Catch reached a seventeen year high with New Bedford leading — largely do to the scallop fishery. ——– WE WERE ONCE A PROUD, AND BEAUTIFUL CITY — WE NEED TO FIND THAT BEAUTY, RESTORE IT, AND SET OFF AS LEADER’S ONCE AGAIN.